The average American throws away an average of 20 pounds of food per month which ends up in landfills. Once in the landfill all that food creates harmful methane gas as it decomposes. Lots of food also ends up going down the drain where water treatment plants must use energy resources to filter and clean water. If you aren’t up for composting at home consider a compost pick up service called Veteran Compost. All you do is separate your food waste from your regular trash and recycling into a separate bin and Veteran Compost will pick it up for you once a week. It’s that simple! 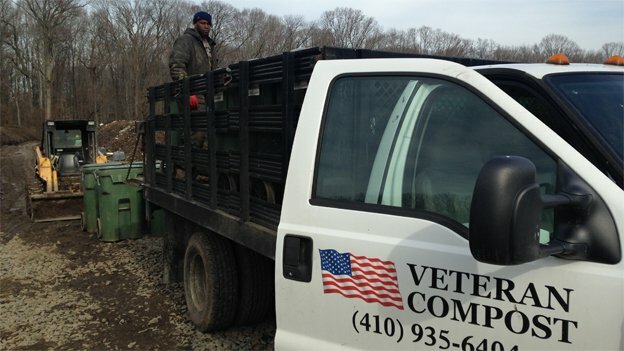 Veteran Compost is about two things – employing veterans and their family members and turning food scraps into high-quality compost. So, not only can you feel good about keeping food waste out of landfills but you can also feel great about supporting a company that supports our veterans!